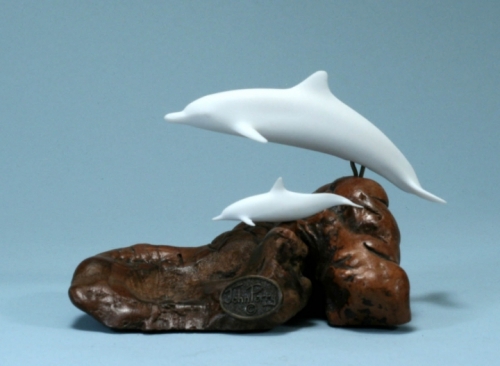 This beautiful Mother & Calf Dolphins on Wood Sculpture is made of a versatile resin compound called "Pellucida" that can be presented in a variety of colors and textures with state of the art molding techniques. In the translucent white form, it resembles bisque porcelain. Make a statement in your home or office and enhance the beauty of your living environment with this stunning art piece.